A rather special item this time, the idea of which was born as long ago as at the beginning of 2013, when I was playing the C64 version in a tour bus, and our bass player mentioned that the DOS version was a bit different - it had not nearly as many features as the C64 version. A year went by, and I came across the Spectrum version of Paratroopers while making research for the comparison of Booty, which gave a spark to that idea of comparing all the different versions of Paratroopers. 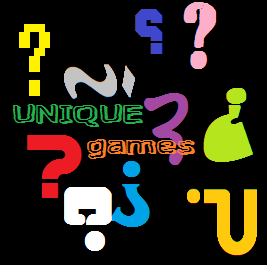 As I went along doing research, I noticed that while there aren't all that many (known) versions around, some of them have a different name, and there are enough gameplay differences to make some of them seem like completely different games as well. So, this will not be an actual comparison as such - it's a look into the evolution of this particular game idea. Paratroopers became the chosen title for the entry, because I felt it is probably the most recognizable name of the lot. Designed by David H. Lawson and Mark Butler. Graphic design and illustration by Steve Blower. 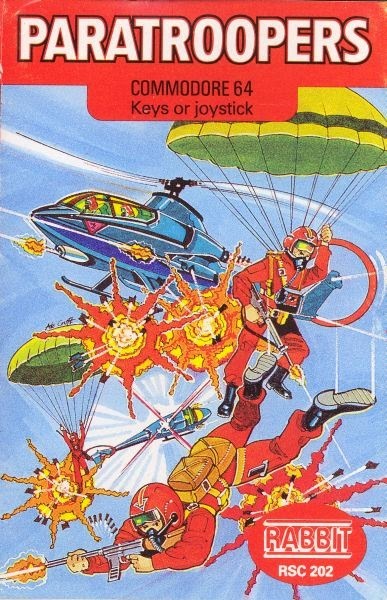 Written by David H. Lawson for the ZX Spectrum 16k and Commodore VIC-20. Converted for the Commodore 64 by Eugene Evans in 1983. Originally developed for the Commodore 64 by Bruce Carver, and released by Access Software and US Gold. 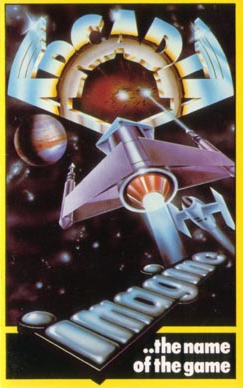 Converted for the ZX Spectrum and Enterprise 128 by Platinum Productions' David Anderson, Ian Morrison and F. David Thorpe, and released by US Gold in 1985. Converted for the Amstrad CPC by Ocean Software in association with Choice in 1985, and released by US Gold and Amsoft in 1985. Converted for the Apple ][ computers by Hal Rushton, Peter Adams and Bryan Brandenburg of Sculptured Software, and released by Access Software in 1985. 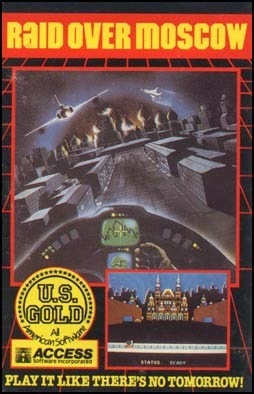 Converted for the Atari 8-bit computers by Steve Coleman of Sculptured Software, and released by Access Software and US Gold in 1986. Converted and released for the Acorn BBC Micro and Electron computers by US Gold in 1986. For a change, I will take a look at two games I have had very little experience previously. 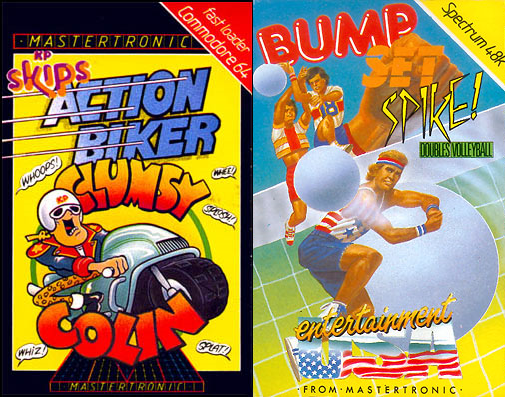 One of the reasons for doing so is because I have been requested of these two games, and the other is because it's time I educate myself further on these two questionable Mastertronic classics. For another Two-for-One comparison entry, this time I will take you back to its original form, as it was done in the first Twofer with the two Gremlin games - mostly because one of each games' versions differ so completely from the other two that I saw this as a nice opportunity to get back in that form. Written by Colin Jones, and produced by Colin Jones with Richard and David Darling. Amstrad CPC, Commodore 64 and ZX Spectrum graphics by Chris Graham. Commodore Amiga and Atari ST graphics by Chris Graham and Brian Hartley. Amstrad CPC and ZX Spectrum sounds by Paul Hiley. Commodore 64 sounds by Gavin Raeburn. Commodore Amiga and Atari ST sounds by Allister Brimble and Colin Jones. Unofficially converted for the Commodore Plus/4 by András Szigand, and released as "Rockstar Manager". A while ago, I thought I had made my shortest comparison I am likely to ever make. Then I came up with this strange gem. So, unless I really go nuts and try to compare a text adventure, I believe this will remain the shortest entry for quite a while. Before all the karaoke games and Guitar Hero games and Rock Band games and whatnot, there were not all that many games based in the world of music, mostly because the hardware abilities of old were not up to scratch, when it came to performing music. The first game I remember that had anything akin to having a musical instrument as your controller was a game called Quest For Fame, where you had to rock out to the tunes of Aerosmith with an electronic guitar pick of sorts. 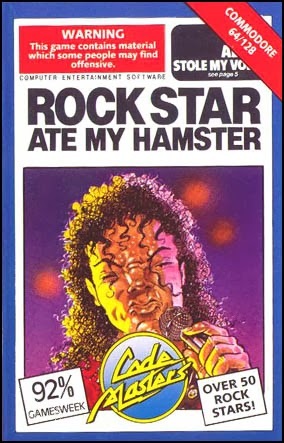 Before any of this happened, though, there were a small group of music management games - this one being most likely the most fondly remembered of them all. I might do a feature later on, listing some of the other music-based retrogames, but this one is dedicated to comparing this Codemasters classic. Brainstorming by Philippe Agripnidis, Stéphane Baudet, Vincent Belliard, Charles Callet, Didier Chanfray, Laurent Charbonnier, Alain Nakache and Stephen Trevallion. Coding by Alain Nakache, Stéphane Baudet and William Hennebois. Graphics by Didier Chanfray, Alain Nakache, Dominique Girou, Frédéric Bascou, Laurent Charbonnier and Sophie Cau. Music by Charles Callet and Stéphane Baudet. 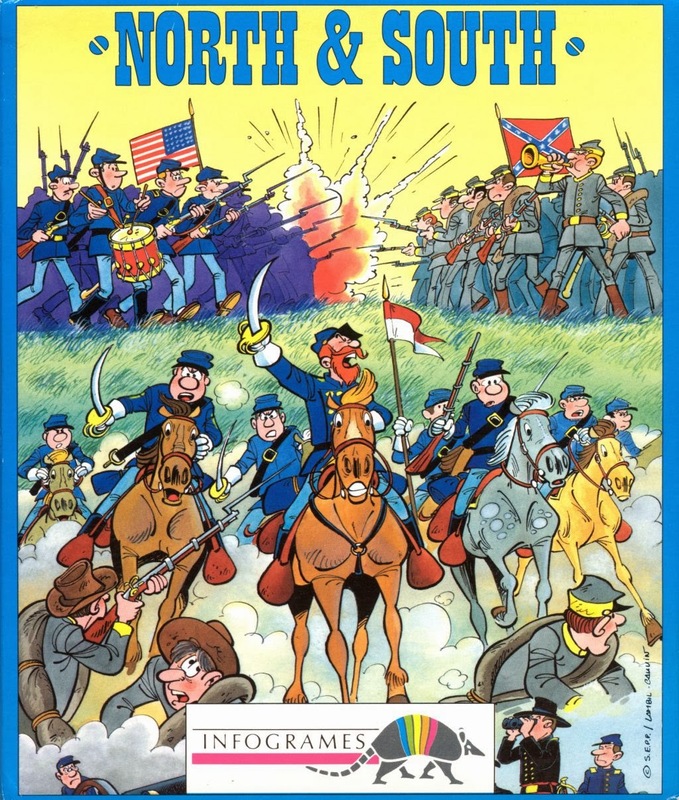 Converted for the IBM-PC compatibles in 1990 by Infogrames. Conversion programmed by Christophe Lacaze and William Hennebois. Coding by Daryl Bowers, Graphics by Lee Ames, Music by Jeroen Tel, Produced by Jo Bonar. Coding by Isidro Gilabert, Daniel Diaz, David Herrero. Graphics by Juan Jose Frutos, Alberto Jose Gonzalez and Ruben Gomez. Music by Alberto Jose Gonzalez. Another month, another part of the Unique Games series. 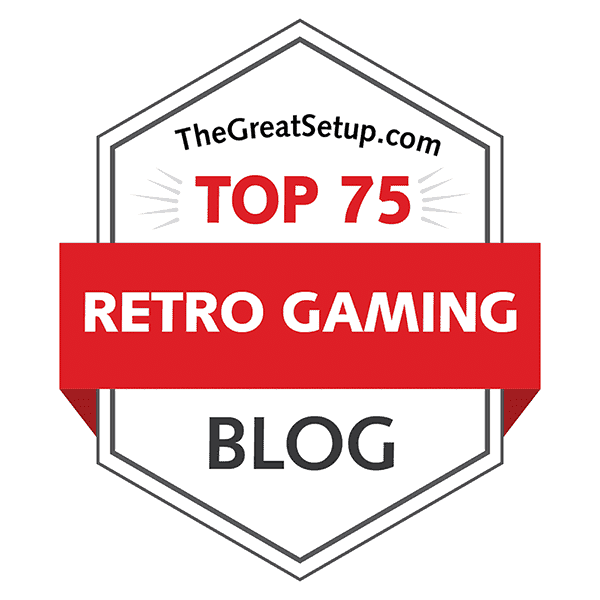 This time the focus is on slightly more obscure machines, such as the Commodore 16 and Plus/4 and Intellivision, because we're already on the verge of running out of interesting titles for the more common machines, and I need to regulate their appearance. Having said that, as I'm already on the third part of the series, I will take a break from writing these for a while after this one has been finished, and concentrate more on some regular comparisons, because these buggers take a lot of energy. So, let's head on before I lose my momentum.